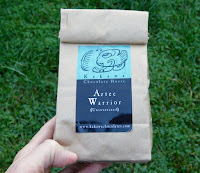 Today's Aztec Warrior chocolate granules were created by Kakawa Chocolate House (Santa Fe, NM). The company specializes in authentic, historic drinking chocolate (elixirs). 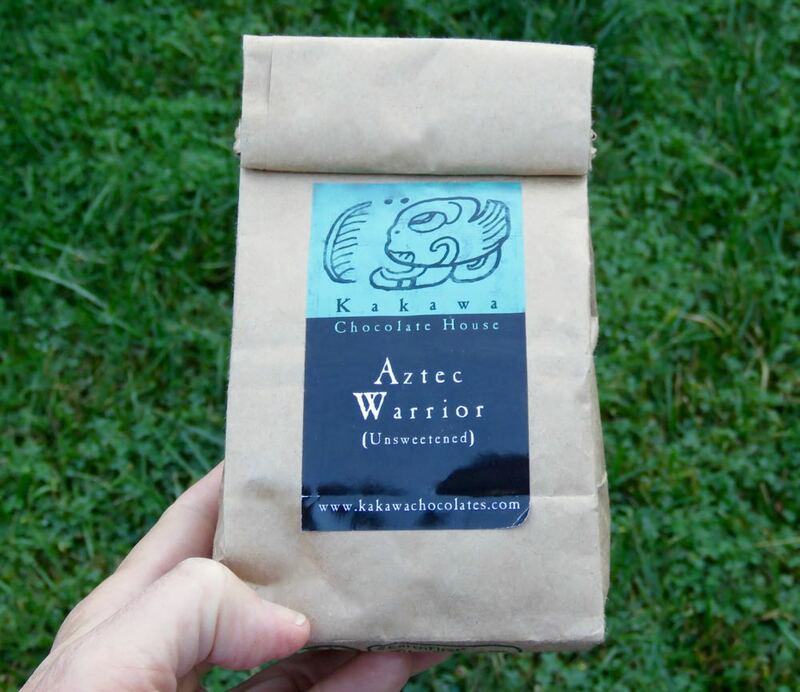 The Aztec Warrior dairy-free chocolate blend included: "unsweetened chocolate (cacao solids, cacao butter), organic herbs, flowers, organic nuts, organic spices, chile and vanilla." It had a moderately bitter flavor with subtle star anise flavor note and low chile heat. After adding hot water, I tried frothing this beverage with a hand-powered molinillo (modified wood chopstick rotated or rolled back and forth between two hands (palms)). My improvised tool wasn't really up to the job, but it was fun to indulge in a bit of imaginary time travel** and re-experience some traditional drinking chocolate and chocolate-making techniques and tools. If you're not feeling your inner warrior and want something more friendly, you might also experiment by adding to this blend corn masa, ground roasted (unsalted) almonds and orange (peel), vanilla and cinnamon, to slightly warm and de-acidify the unsweetened base flavor of this blend. You could also add honey or sugar and milk, but I preferred experimenting with these other inclusions first. Thank you again to Anne for bringing this blend back from Santa Fe, NM. 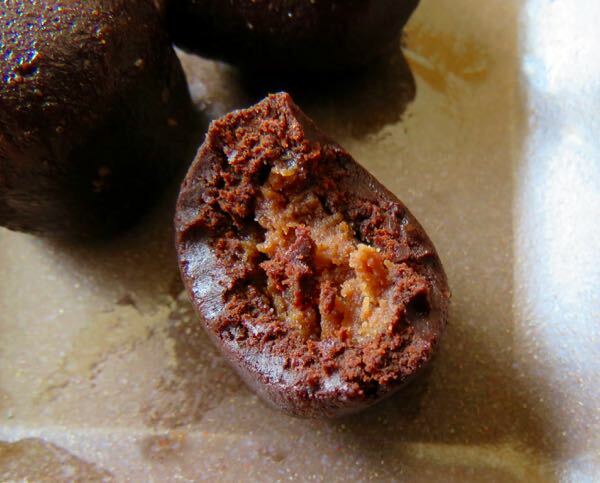 *Kakawa was an ancient name for cacao. ** Chocolate beverage making dates back more than 4,000 years in Mesoamerica/South America. Welcome to Day #5 of Celebrating 12 Years of Chocolate Series. 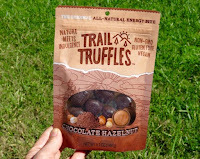 Today's Chocolate Hazelnut Truffles were from Trail Truffles (Draper, UT). 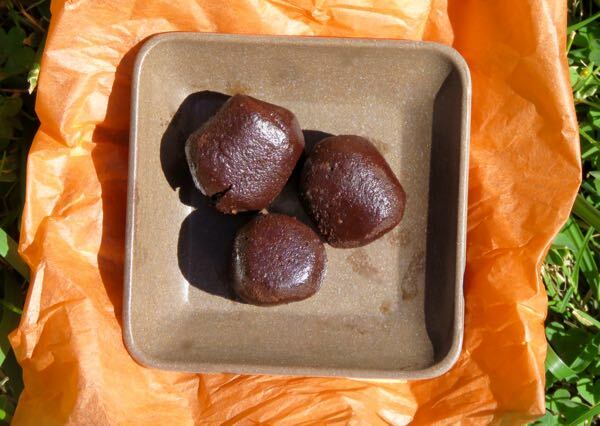 Like most other items that contain dates, these truffles have a moist, naturally slightly acidic fruit sweetness and cohesiveness. However, the hazelnut and chocolate did participate in this blend of flavors. And their texture was great for a hike outside. The Trail Truffles were taken up to a park in the hills to enjoy a great view of San Francisco Bay. They had a bit of oily sheen to them. ; but they did not melt or fall apart. I found this added extra virgin coconut oil* very helpful as an active person. 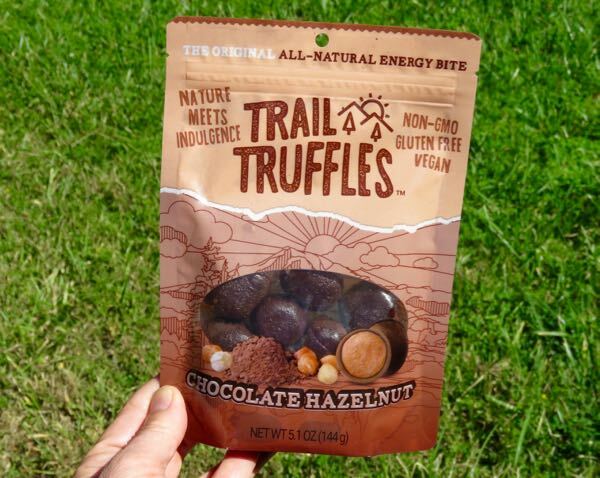 (And the founders at Trail Truffles are active trail users from what I read.) 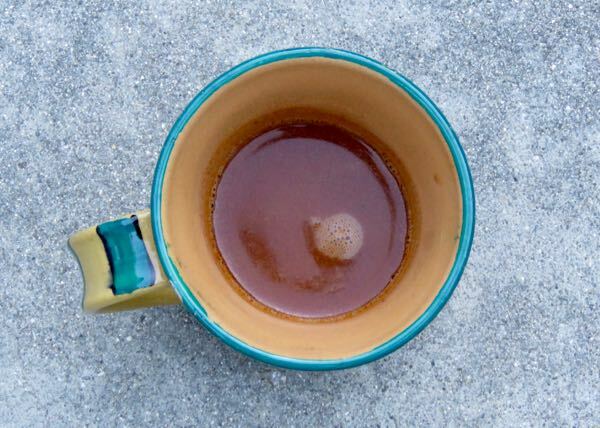 A little fat is great for breakfast before a walk or hike—to stave off hunger before lunch.